The pawns in the front row didn’t seem interesting to her. Their moves were easy, unchanging and without pluck. Excuse me?! How could you possibly write something like this? The pawn is the only piece which captures differently than it moves. It is the only piece whose possible moves depend on its position.3 It’s the only pieces which can change in another piece. It captures en passant, for God’s sake! The pawn is quite possibly the most complicated piece on the board. I’m starting to fear the author has never actually seen a chess book. The “accelerated dragon”, which she had already used against Kouros [Ed. : Eleni’s former teacher], seemed to her one of the best methods to bring the opponent out of balance and to very quickly secure an advantage for white. Yes, well, that would be very nice were it not that the accelerated dragon is a setup for black. It quickly giving white an advantage would therefore not be much of a recommendation. Perhaps she means the reversed dragon variation of the English opening, but as far as I’m aware there is no accelerated version of that. Plus, I don’t think the reversed dragon is the sort of opening a beginner like Eleni might know what to do with. 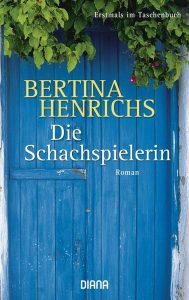 But at least we are now relatively sure Henrichs has at some point flipped through a chess book, if only to look for cool opening names. Eleni got all her pieces out as quickly as possible. After the fourth move she could have castled, but didn’t. Kouros reminded her a bit surprised about the rule that one should castle early on to protect the king and give the rook more freedom. She kept on bringing here pieces in the game, including the queen which she advantageously placed in the centre, from where she controlled many squares. After eight moves from both players, Eleni had only the king and the two rooks left in their places , giving her the option to castle kingside or queenside. …this bodes worse than a swan plays the trumpet. First of all, the king and rooks being on their starting squares is a necessary but absolutely not sufficient condition for both castlings to be possible. Secondly, what the hell kind of opening are they playing?! In the first eight moves, she must have developed both bishops, both knights, and the queen. 2 and 3, 2 and 2, 2 and 2, 2 and 3, 1 and 3, 2 and 2, 2 and 2, 2 and 2, 3 and 2, 2 and 2, 1 and 3, 2 and 2, 3 and 2, 1 and 2. Keep in mind, these are master games were quick development is a major concern, yet such a quick development occurred in none of them. Now I can come up with some vaguely plausible opening moves where this does happen (1.d4 Nf6 2.c4 e6 3.g3 d5 4.Bg2 Bb4+ 5.Bd2 a5 6.Nf3 dxc4 7.Nc3 O-O 8.Qc2 for example, or 1.d4 Nf6 2.c4 e6 3.g3 d5 4.Bg2 Bb4+ 5.Bd2 a5 6.Nf3 dxc4 7.Nc3 O-O 8.Qc2), but additionally the queen should be in the centre and this I can’t seem to manage. But maybe I should stop thinking about this. There’s still two thirds of a book to read. Yannis [Ed. : that’s Eleni’s son] had never seen a book in the house, except for schoolbooks and one cookbook that Eleni had gotten for her wedding from a distant relative. She had seen the gift as a personal insult, the book had disappeared in the depths of some cupboard and had never again seen the light of day. Wait, wait, wait, hold up. This undermines the whole premise of the book! 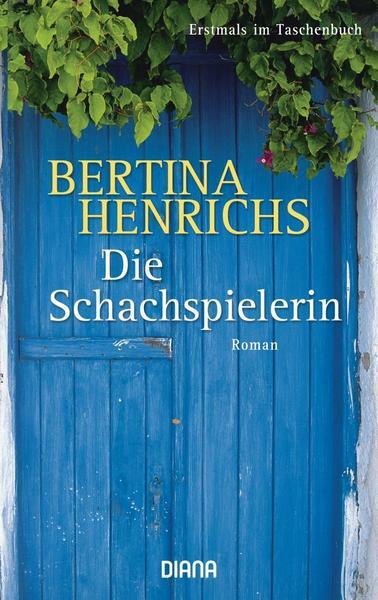 The only conflict in the story comes from the fact that Eleni’s playing chess is against the laws of habit that govern a small island in the Aegean sea, but such laws in a traditional society like that must certainly include not having kids out of wedlock. Yet, by the above quote, Yannis has seen a book which has not been brought out since Eleni’s wedding, implying he must have seen it there. What gives? The pawn was the foundation of the game: the small obedient soldier marching straight towards his only goal: blocking the opposing army or social rise. He could become a queen, a rook or a knight, whichever was necessary. Or a bishop! First kids out of wedlock, now the clergy is forgotten – this book has taken a surprisingly irreligious turn. But it gets worse: the author starts delving into chess terminology, unhindered by such restraints as relevant knowledge. By now, she knew the different possibilities of the pin, consisting of completely or partly immobilising an important piece of the opponent. That is not at all what a pin is. In fact, a pin usually immobilises a not so important piece, by threatening to take a more important one if the lesser one moves. Oh, come on! There is no such thing as the seventh and eighth diagonal! How would you even number them? Do you start with the a2-b1 diagonal? Or with a1-a1? Can you even call that a diagonal, really? Even if she had written something like “the a1-h8 diagonal” it still wouldn’t make sense. How do you study a diagonal? What would you learn in doing so? That all the squares on it are of the same colour, perhaps, or that there’s currently a salticid resting on c3, maybe that your board could use a good dusting, but not much that would be of use in chess. Final verdict: It’s alright. Nothing happens in this book, but setting aside the aforementioned failures on the sixty-four squares, the writing is competent and in some select places actually good.